Today you're going to get a little peek behind the scenes at Red Red. Glamour, this is not. It's the every day, bit-by-bit process of creating, whenever I can fit it in. 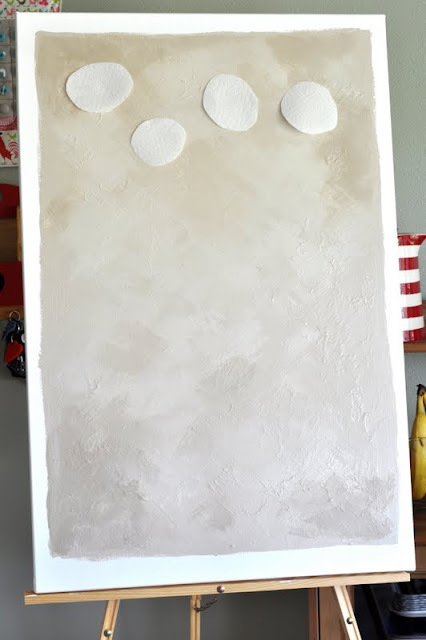 This is me painting a white canvas white. Seriously. Someone once told me that canvases should always be painted white first. I can't remember who, I can't remember why. But as the laundry sat unfolded, the dishwasher sat unloaded, and the baby lay sleeping, I painted a white canvas white. It was sort of zen, in a mindless-task-that-has-no-practical-value sort of way. This is a sketch. A half-hearted, I-can't-be-bothered-to-fill-it-all-in sort of drawing. Recognise it? It's that four dandelion piece of art (from our large art round-up). This is paint. 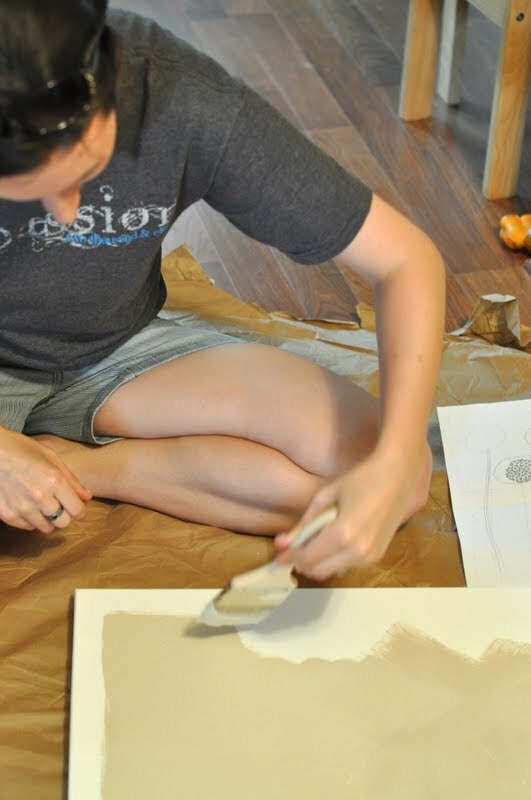 My artistic friend, Whitney, who has a background in decorative painting, is mixing up a nice shade using colours from her own walls. Check out the toe-decoration -- and she didn't even know her feet were going to be on camera. And here's me, slapping it on, crissing and crossing and trying not to listen to the perfectionist in my head. Good job you can't see my toes. I'd be like the Ugly Step-Sister of feet. The base colour done, I then played around with slightly different shades on top -- a layer of the base colour with more white, a layer of the base colour with less white. 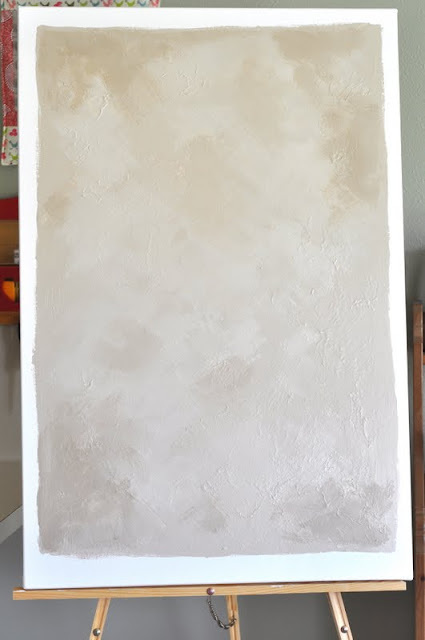 The bottom layer wasn't quite dry, it turned out, when I started adding new layers, so I got an interesting texture where the half-dry paint below got pulled along with the brush. I meant to do that. Ahem. Not. A little darker in the corners, a little lighter in the centre. According to Whitney, this is how multi-millionaires like their walls painted. Ooh la la. 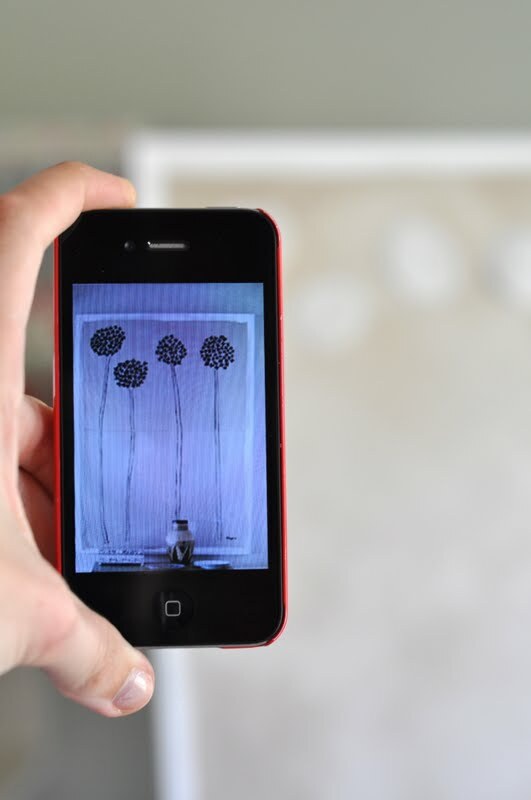 And I'm sure good ol' Vincent held up his iPhone pic of the art he was copying to check the placement of said sunflowers, too. Stay tuned! Tomorrow, when it's all dry dry completely dry, I'll add the flowers. So great to be able to follow along in the process. Can't wait to see the end result! I'm impressed :) Can't wait to see the final product. Do we know where the original picture came from? I would LOVE to get a copy for my home!